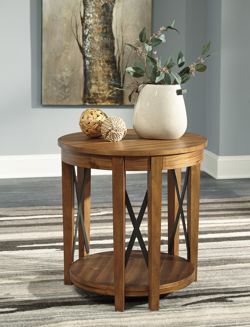 Made with Acacia veneers, engineered wood and select hardwood solids. Finished in a light brown natural looking finish. 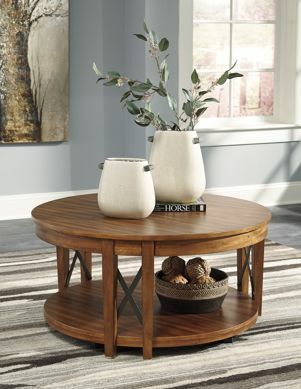 Round table design has a double post that is tied together with a flat metal cross buck finished in a raw steel coloration. Casters on cocktail table for mobility.